Global sales of Nintendo's Wii console have passed 50 million, the company's boss Satoru Iwata has said. The Wii is now the fastest-selling games console in history, surpassing the PlayStation 2. 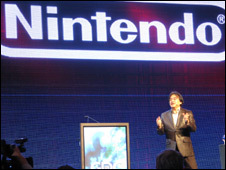 Mr Iwata also said that Nintendo's handheld DS console had shipped 100m units around the world. "Almost no one expected them to reach the current level of mainstream acceptance. It's even beyond what we possibly hoped for," Mr Iwata said. "The market has expanded as video games have been accepted by more consumers than ever before," the Nintendo president, told the Game Developers Conference in San Francisco. "It's a cliche but it's not just the 18-year-old kid, it's the mom on the train, it's the high-school girl after she's done with her homework, everyone plays games. " Jay Lauffer from Blizzard Entertainment was impressed by the figures and put it down to Nintendo's approach. "I imagine its successful because Nintendo seems to be shifting what is kind of a traditional sit-down environment to getting people up and moving." Remy Lavoie, a programmer with DTI Software said: "If Nintendo has such a big share of the market it's pretty impressive. "They are thinking outside the box and its clearly paying off." To create some excitement among developers, Mr Iwata unveiled some upgrades for the Wii which included a much-hoped-for new storage system. 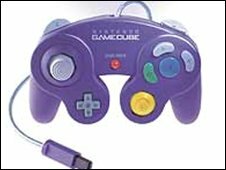 It lets users store and launch WiiWare and virtual console games from high capacity SD cards. It is available for download now. "Your games will no longer be competing on space for system memory," said Nintendo's Bill Trinen during a demonstration. Rock 'N' Roll Climber, a new mountain-climbing game that uses the Wii Fit's Balance Board was also demonstrated to the audience. The player's character rocks out on a guitar when he reaches the top. To date sales of the board have hit 14 million units with pre-orders on Amazon for the new DSi ahead of its launch next month reaching record levels said Mr Iwata. Some new titles were announced for the Virtual Console including Final Fantasy Crystal Chronicles: My Life as a Darklord and Final Fantasy IV: The After Years for later in 2009. Another addition is the Virtual Console Arcade which is available today with classic games like Space Harrier, Gaplus, Star Force, Solvalou, The Tower of Druaga, and Mappy. For the DS, clips of a new upcoming Legends of Zelda: Spirit Tracks were greeted with applause. But none of it convinced Robert Sindt, an associate professor at Johnson Community College in Missouri, that the Wii or the DS is the developers' dream. "I think they are great platforms but I guess I am a tad sceptical what will become of it. I'm not sure developers will embrace it. Sony is pretty impressive and a better platform." While Mr Iwata highlighted the success of the Wii and DS, he noted Nintendo did not achieve this on its own and thanked partners, press and consumers for their support. He said that the major reason that the company is where it is is because "one rule always remains the same: Software sells hardware". For developers who remain unsure about developing for either device, Mr Iwata said more third-party games were sold on these platforms last year than on any other platform. Throughout his speech he continued to dazzle the audience with statistics and stressed that in the US, some 20% of owners had never owned a console before buying the Wii. He also noted that 47% of DS sales were made by women. While Mr Iwata ended by acknowledging hard economic times, he also stressed that they tend to lead to real innovation. "The great depression in the 1930s resulted in the jet engine, TV and chocolate chip cookies. "As developers I believe anything is possible. 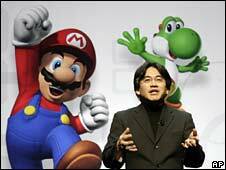 The future of video games is in your hands and I can't wait for you to show us your surprises," Mr Iwata concluded.